Tara is a leaving cert student here in St. Anne’s and is also a very talented dancer and musician. She works extremely hard to balance her academics and commitment to her extracurricular activities. 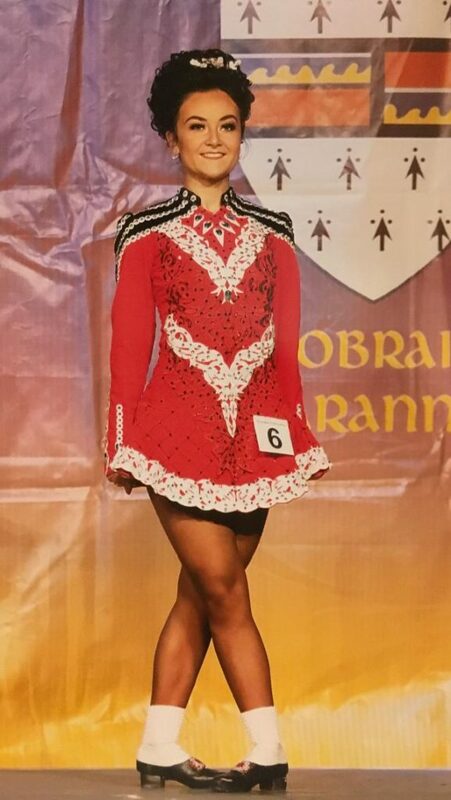 She has now qualified for the World Irish Dancing Championships in Greensboro, North Carolina, which take place over the Easter holidays. She dances with the prestigious Flynn O’ Kane Academy of Dance based in Nenagh, Co. Tipperary. Tara trains three times a week, and more frequently coming up to major competitions. Needless to say, she is working tirelessly towards this massive week coming up while simultaneously balancing it with her studies. It also has to be mentioned that she is a member of Cailini Lua, an up-and-coming all girl trad band. All members of which are St. Anne’s pupils (Katie and Laura Donaghue, and Lydia Hayes) and these girls have a bright future ahead of them. We wish Tara the very best of luck in America in two weeks time. Best of Luck Tara, the school and wider community are very proud of your achievement. By killaloeteacher in Other on April 1, 2019 .